Your contribution to Temple Etz Rimon will provide financial resources to help our congregation now and to secure its future. Your generosity today will serve as a key source of support. You can make a tax-deductible gift to Temple Etz Rimon at anytime. Your gift can be a donation of cash or securities, a financial pledge to be paid over several years, a gift in your Will or Trust, or other Planned Gifts. Many of us have already added Temple Etz Rimon to our wills, trusts, and estate plans. Through a Legacy bequest; a gift of retirement plan assets, real property or appreciated securities; or a life income gift such as a charitable remainder trust or gift annuity, we can guarantee that our temple will thrive long after we are gone. You can specify any dollar amount or percentage you wish, or ensure that any element of personal or real property you name is left to the temple. Examples are the equity in your home. 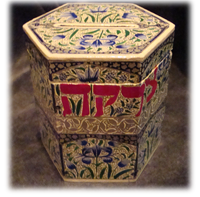 For most of us, making a bequest to Temple Etz Rimon can be a simple process. You simply sign and notarize a new will or trust, or even more simply add and have notarized a one-page “codicil” to your present will, or a one page “amendment” to your present trust. To participate and become a member of our Legacy Society complete the Legacy Society Form or call the temple for more information. Members will be able to make their donation at the beginning of the year, or if preferred, pledge their level and give quarterly. This is a wonderful opportunity to make a difference within our Temple Etz Rimon community. You and your family will become a part of a pillar in the life of our temple. There are many ways to support our temple by making contributions. Our temple projects and programs grow and thrive with your donations. Donations can be earmarked for general or specific funds and can be made in honor of or in special recognition of a loved one or in appreciation of someone. Which is your favorite holiday? Put your name on it! For $360 per holiday, we are offering the opportunity for you to sponsor S’lichot, Sukkot, Tu B’Shevat, Chanukah, and Purim. You will be recognized with gratitude in our weekly newsletter. Please download a Donation form. Thank you for “Making a Difference”! This cornerstone fund raising appeal invites our members and guests to provide annual support coincident with the High Holy Days, a traditional time to support one’s synagogue. This financial participation is essential because dues and tuition are not sufficient to maintain a progressive Jewish presence in the area along with educating our students. In addition, the donations ensure that our programs are fully funded and that all who wish to join our congregation and participate in our community can do so regardless of their ability to pay. At Temple Etz Rimon, no one is turned away due to true financial hardship. Shop With Our Temple In Mind While Helping Our Religious School! Did you know it is possible to financially help Temple Etz Rimon without it costing you a cent? There are several programs available that provide donations in your name to our temple activities such as our Religious School. Ralph’s, Von’s EScrip and Amazon are available; and you can also enter other merchant cards such as Macy’s, Eddie Bauer, Baja Fresh! Do you shop at Ralph’s? Register once a year and a matching donation for everything you spend there is automatically sent to Temple Etz Rimon. If you have a Ralph’s club card (or would like to sign up for one) simply go to www.ralphs.com and click on “Community Contribution” and follow the prompts. Our Group ID is 90918. Once you register your card, every time you swipe your card (or enter your alternate ID) at Ralph’s, a percentage of the amount of your purchase will be donated to Temple Etz Rimon to benefit our temple activities! Follow the prompts to enter your contact information. Enter your Vons club card so that for every purchase you make, up to 4% will be donated to Temple Etz Rimon – it’s that easy!! Do you shop at AMAZON.COM? Register your Amazon account at smile.amazon.com, and they will donate 0.5% of your purchase price to TER. At smile.amazon.com, enter “Etz Rimon” at “Or pick your own charitable organization”. Then click OK. If you need help with any of the above (or don’t like using the computer), for personal assistance please Contact Us.